A man was killed Thursday afternoon in Vancouver after a driver stopped to let ducks cross the road, according to the Washington State Patrol. State Patrol said the crash involved three vehicles and occurred on the Mill Plain Boulevard ramp off Interstate 205 southbound around 12:30 p.m.
A Toyota Prius driven by a 61-year-old Oregon woman stopped to let ducks cross the road, and a second driver behind them in a Nissan Maxima slowed down. A third driver in a Dodge Ram pickup crashed into them. A 51-year-old Ridgefield, Wash., man in the middle car was killed. The driver of the pickup, a 53-year-old Portland man, was not injured. The driver of the Prius was injured. All three drivers had their seat belts on. The ducks were not hurt in the crash, State Patrol said. Unfortunately, the crash described above appears to have been avoidable. Stopping abruptly in traffic for non-emergency reasons can obviously have dire consequences. Drivers of motor vehicles have a responsibility to make safe and reasonable actions in traffic, giving consideration to others at all times. This includes giving proper signals and/or warnings when others may be affected. However, emergency situations may occur that require a sudden stop. 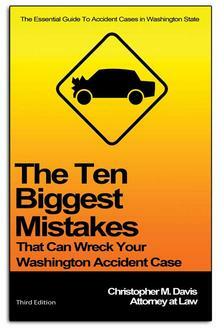 Sudden stop accidents are most commonly caused by heavy traffic. In most cases, a driver is not held liable for these accidents, as all drivers moving in congested traffic have a duty to be careful and anticipate sudden stops. When sudden stops occur because of a traffic signal or sign, drivers are usually not found liable — courts typically find that the following driver has as much duty to stop for the signal as the stopping driver. Drivers who come to a sudden and un-signaled stop can be found negligent and held liable for injuries as a result. This applies to many accidents involving small animals. If the animal is big enough — for example a horse, cow, sheep or dog — a sudden stop is justified. Hitting the large animal at any speed may damage the front of the vehicle and cause injury. But multiple court cases have found that if a small animal such as a squirrel, rabbit or duck was the cause of the stop, the person can be found negligent. 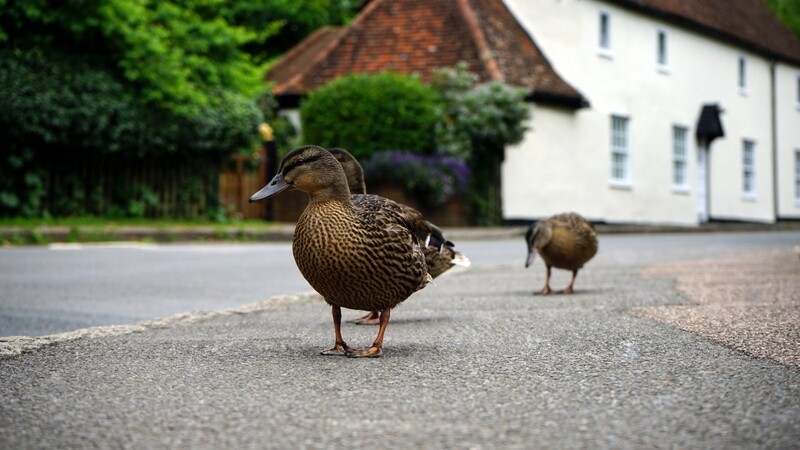 Ducks are not large enough to cause significant damage to vehicles. In most cases, it is not deemed responsible to brake suddenly in order to avoid a small animal if doing so puts other drivers at risk. Some see these laws as harsh. But courts do not factor in human attachment to certain animals. Braking for a cute cat or duck is not seen as reasonable when it could potentially cause a car crash and injuries. In 2010, a Canadian woman parked her car in the left lane of the highway to help a group of ducklings cross the road. As a result, a motorcyclist and his passenger slammed into the back of the parked car at 65 miles per hour and were killed. The woman initially told police her hazard lights were on, but witnesses testified that she did not. The woman who stopped was a self-professed animal lover. She spotted the ducklings in the median and did not see the ducklings' mother anywhere. She was trying to herd them with the intention of taking them home. Each case is different. If the following drivers were not keeping a safe distance, or the owner of the animal didn't properly contain the animal, that may impact the case. Many factors influence these complex cases. For more information on your rights after an accident, contact the top-rated car accident attorneys at Davis Law Group, P.S., today. We offer free case evaluations and operate on a contingency fee basis, meaning we don't get paid unless you win. Attorney Chris Davis and his legal team handle cases across Washington state and have secured millions in compensation for accident victims for the past 24 years.